She blows a mean harp. She throws herself headlong into every gig played. She is the Queen of ‘Roadhouse Rock’. 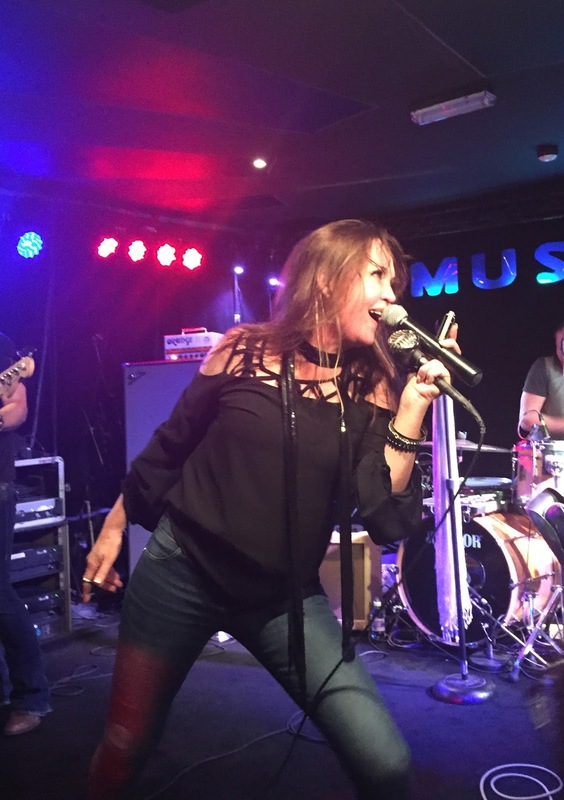 Stacie Collins continues to thrill music fans either side of the Atlantic with an ever growing band of admirers flocking to her shows especially in mainland Europe and the UK. 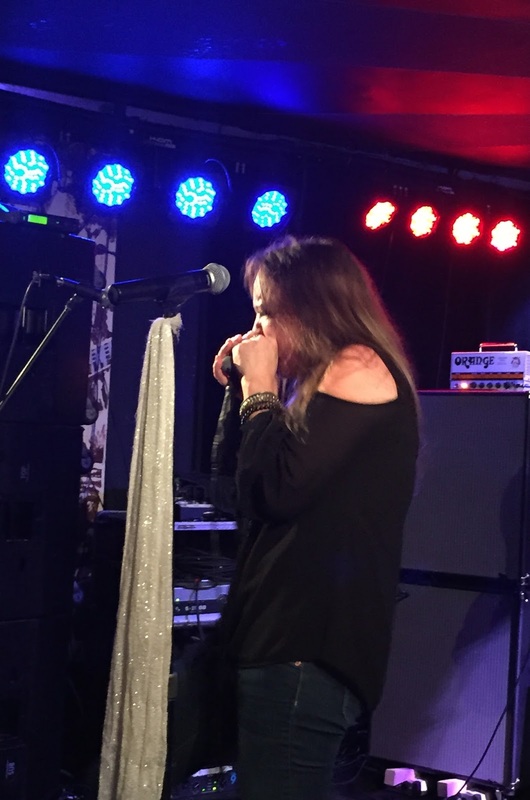 It has been around six or seven years since first discovering Stacie and each subsequent visit to The Musician venue in Leicester sees an incremental growth in her popularity capped by a very impressive turnout for this latest journey up the M69. Such is the familiarity of this venue to Stacie, there was very little need for any formal introductions and she must have been thrilled by the number of tee shirts baring her face and name in the audience. 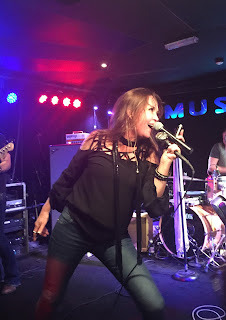 In return, Stacie and her Almighty band treated folks to a near two hour performance of ear splitting blistering roots rock spanning the blues, heavy and classic sound. The trademark cowboy hat barely lasted half a dozen songs as the girl from Nashville Tennessee rocked with sheer energy, exuberance and loud voluminous sound. It is statistically safe to say that Stacie is not the most prolific of recording artists and prefers to inject her passion into the live experience. Up until this month, there have only been two albums pushed to the forefront of her DIY marketing with there being a marked difference between listening to the recorded Stacie and being in her presence in a live venue. Visually and audibly on record, there is ample evidence of her country roots, yet these almost get blown away in a wave of a rock rush on stage putting her really on the distant edge of Americana. This year’s trip to the UK sees Stacie proudly bearing gifts of a new record with ROLL THE DICE being the title and High Roller acting as the tour strapline. The two hours Stacie spent on stage this evening went through something of a rock ‘n’ roll haze with little chat, fewer song introductions, but compensated by a proliferation of guitar licks, magical harp blowing and a buzz zipping right round a packed venue. Through the stream of likeminded songs, old favourites such as ‘Carry Me Away’, ‘Hey Mister’, ’Baby Sister’ and ‘Tied to You’ were savoured. Without prior listening exposure to the new record, it was trickier to detect these songs, but ‘Lost and Found’ left an audible mark with its playing. Be prepared for a handful of interesting covers at a Stacie Collins show. 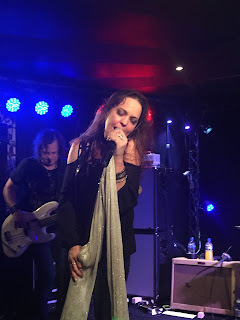 ‘If You Wanna Get to Heaven’ and ‘It’s a Long Way to the Top (If You Wanna Rock ‘n’ Roll)’ are two regular songs to frequent a Stacie Collins set list with husband Al providing vocals on the first one and both numbers reflecting the rock influences of the band. Just prior to the encore, Stacie employed a new finale to her show since the last visit with a highly charged montage of ‘Baby Please Don’t Go’, ‘Shakin’ All Over’ and ‘Folsom Prison Blues’ to rock the venue to its foundations. Alongside Stacie, the promotion has brought three other intrinsically linked bands to the Musician this year. Al’s other band Jason and the Scorchers played a sensational sold out gig in July, and that band’s guitarist Warner E Hodges returned for a solo billed show in September. Also Dan Baird and the Homemade Sin visit in December and a song of theirs was celebrated during the set as well as a rousing version of the Scorchers ‘If Money Talks’. A Stacie Collins live show is not for the faint hearted and this evening’s gig had a more profound rock ring to it especially as two of her better songs which reflect a slightly different sound in ‘Lucky Spot’ and ‘It Hurts to Breathe’ were surprisingly omitted to make way for the new material. However this did not hold back the majority of the audience from lapping up the continual stream of up tempo rock ‘n’ roll as the evening unfolded. 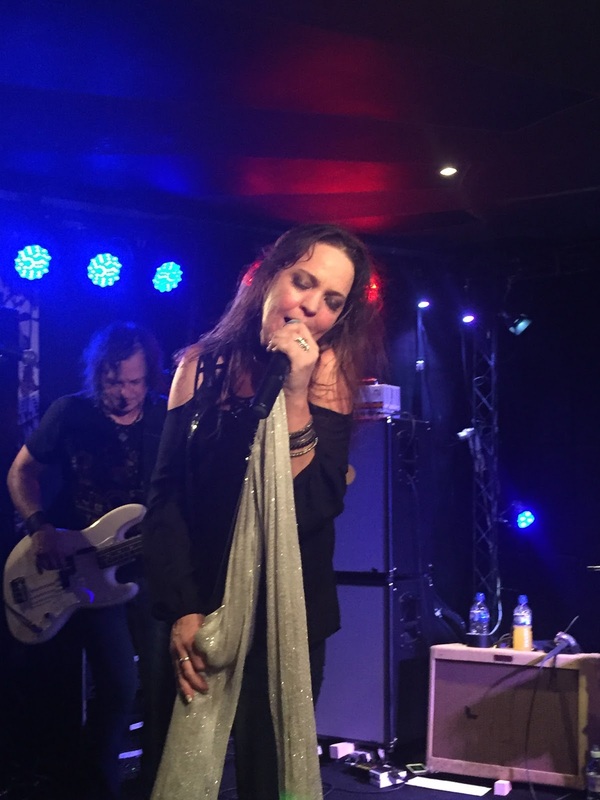 Without any sign of the ailments that have slightly affected previous shows in Leicester, Stacie Collins was on top form and once again displayed all the traits of an artist blazing a trail on the live circuit with a raw, authentic and high octane fuelled sound. Long may she blow a mean harp, wrap her worn vocals around a bunch of energetic songs and play music both steeped in history and able to retain timeless relevance.